This entry was posted in Aaron Murray, Bennett Haradad, Christian Hosoi, Jesse Martinez, Pat Ngoho, Scott Oster, SKATE VIDEOS, Steve Olsen and tagged Aaron Murray, ART, backyard ramps, boards, Chrisiton Hosoi, east coast, house of steam, jason, Jason oliva, jasonoliva, Jesse Martines, New Jersey, New York City, oliva, paintings, Pat Ngoho, photography, pool Skating, ramp, ride, Scott Oster and Bennett Haradad, sk8, sk8t, skate, skate decks, skate history, skate photography, Skate ramps, skate trucks, skate wheels, skateboarding, skateboarding history, skateboarding photography, skateboards, skatepark, skater, SKATERS, steam, Steve Olsen, Street Skating, TEAM STEAM, The Barn, The House of Steam, thos, vert, vert ramps, Vert Skating on February 6, 2010 by jasonoliva. Team Steam’s Glen Charnoski has checked in and is doing fine competing against and beating those West coast legends left and right. Here are some pics of him doing his thing at the GVR Master Bowl. 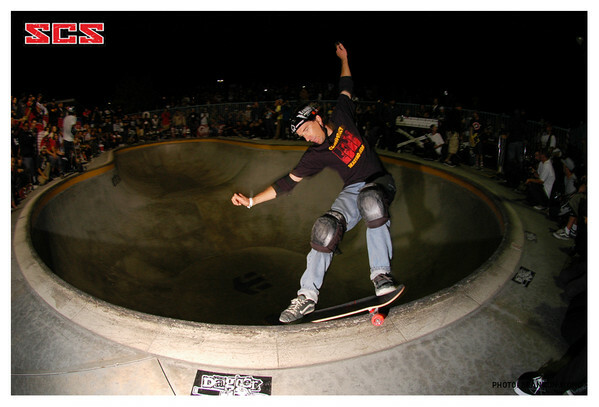 This entry was posted in 2008, Christian Hosoi, Duane Peters, Eddie Reategui, Glenn Charnoski, Lester Kasai, Pat Ngoho, Steve Caballero, TEAM STEAM and tagged backyard ramps, bam, Eddie Reategui, Jason oliva, Lester Kasai, Pat Ngoho, ramp, ride, sk8, skate, SKATE CONTESTS:, Skate ramps, skateboarding, skater, SoCal Skatepark, Street Skating, TEAM STEAM, The House of Steam, vert, vert ramps on October 19, 2008 by jasonoliva. Team Steam’s Glen Charnoski still skating for Allentown PA pride. Beating Cab and landing a “Caballaerial”….too cool!! This entry was posted in 2007, Bernie O'Dowd, Duane Peters, Eddie Reategui, Glen Charnoski, Lester Kasai, Pat Ngoho, SoCal Skatepark, Steve Caballero, TEAM STEAM and tagged ART, backyard ramps, bam, boards, east coast, Glen Charnoski, house of steam, jason, Jason oliva, jasonoliva, New Jersey, New York City, oliva, paintings, photography, pool Skating, ramp, ride, sk8, sk8t, skate, skate decks, skate history, skate photography, Skate ramps, skate trucks, skate wheels, skateboarding, skateboarding history, skateboarding photography, skateboards, skatepark, skater, SKATERS, Skating, steam, Street Skating, TEAM STEAM, The Barn, The House of Steam, thos, vert, vert ramps, Vert Skating on October 8, 2007 by jasonoliva.